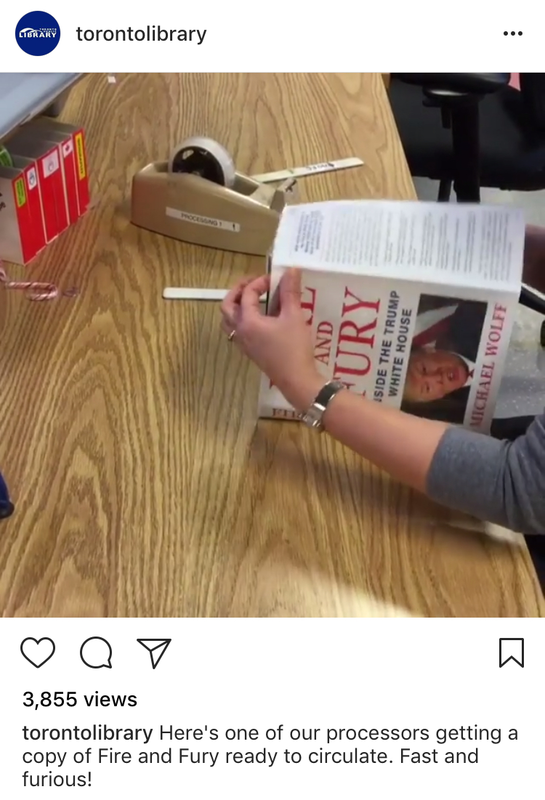 Fire and Fury demand remains high despite no “shithole” in the index. Books about Donald Trump risk going stale before they’re printed, but that hasn’t abated demand for Fire and Fury at Toronto Public Library. The wait list for print copies has peaked around 2,300, which could take all year to cycle through. Quicker reading is a $15 download away, but there’s still an audience that wants it on paper, prompting TPL to show how a cover gets taped. King Street pilot is keeping the 504 streetcar crowded. Numbers released by the TTC show a 25 per cent boost in ridership along King West, in tandem with statistics that verified a quicker ride between Bathurst and Jarvis. All of this puts more pressure on Bombardier’s scramble to give its delayed streetcar delivery a “Plan B.” Meanwhile, aggrieved restaurant owners still hope to get the vehicle restrictions eliminated after 7 p.m. For now, they're feeling unappeased by sidewalk fire pits. Bathurst and Bloor store stubbornly keeps cosmic Annex hacky sack flakiness alive. Alternative Thinking, a patchouli-scented retailer adjacent to the demolished Honest Ed’s, won’t budge from its spot—despite other neighbouring businesses getting out of the way of the wrecking ball. The current owner bought the building in 2005, after which Mirvish offered to buy the place. Promoting the store's refusal to move may just be part of the owner's trolling for a bigger payoff. Michael Bryant resurfaces to stick up for civil liberties. Ontario’s former attorney general turned up on Metro Morning to discuss a “do-over” after his role in ending Darcy Allan Sheppard’s life. He has a new job at the helm of the Canadian Civil Liberties Association, whose news wasn’t greeted warmly. LAST CHANCE! 12:36 wants to know about you. Take our inaugural readership survey now: there are just a few easy questions, and we'll keep your answers confidential. What's in it for you? You'll help keep 12:36 going by giving us information we can use to help sell advertising—and you can score an invitation to the secret new 12:36 Slack, our group chat where we discuss the kind of Toronto topics covered in the newsletter. It's like Twitter, but better! 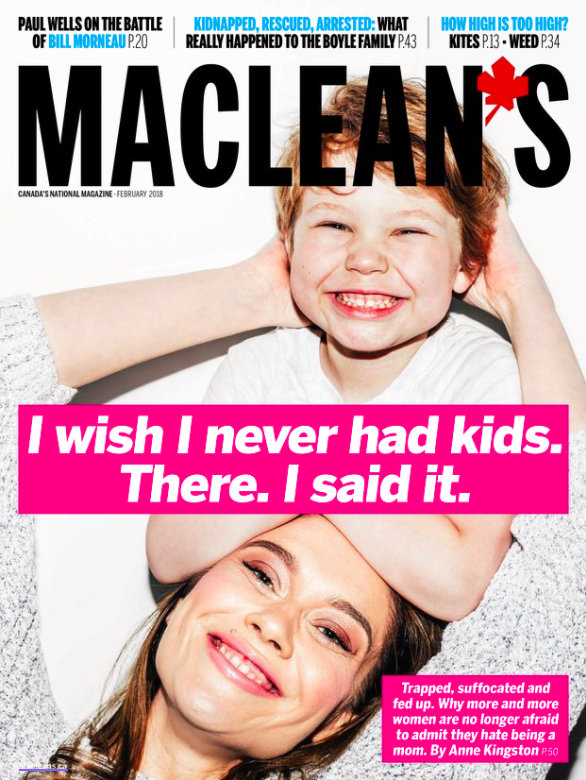 The best way to avoid reading articles about terrible children is to never have them.Pondering mothers who regret that they bred is part of a January cover story tradition at Maclean's. 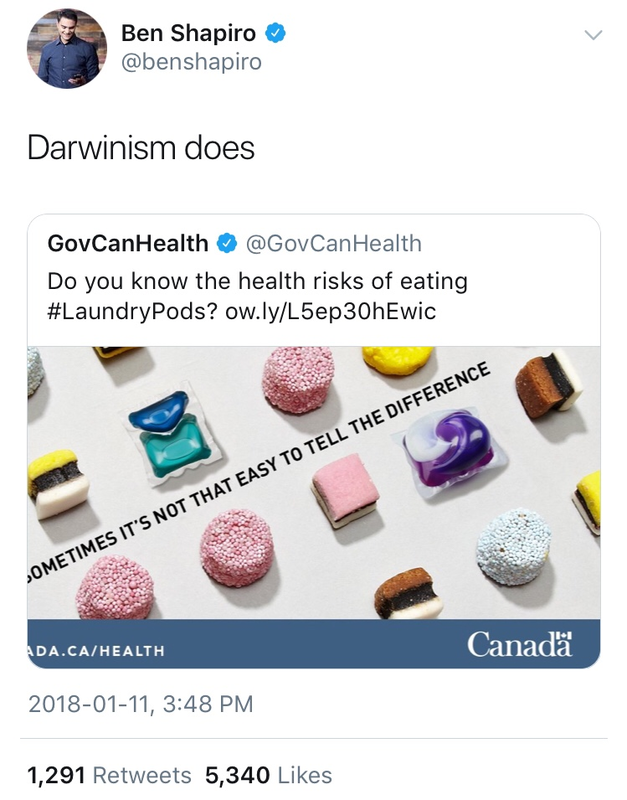 Last year was about gluten-free babies, the year before it was “TIME TO STAND UP TO YOUR KIDS,” and 2015 arrived with shrinking teenage brains. Now that the magazine is monthly, rather than weekly, this one will stand out more in a pediatrician waiting room. “This change will take some time to figure out.” Campbell Brown, the head of news partnerships at Facebook, is trying to calm down digital publishers who were instantly freaked out by Mark Zuckerberg’s plan to have the compay's News Feed prioritize items shared by friends and family. Whatever happens, Facebook already dedicated $500,000 to help the Canadian journalism industry, with Ryerson in charge of allocating that cash. The name of the Edward Albee play that’s about to premiere at Soulpepper in the wake of scandal surrounding Albert Schultz.